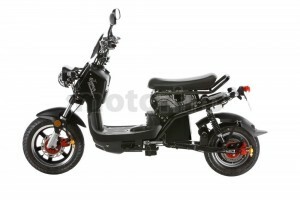 The Motorino XPd is a unique scooter released in early 2011 and has proved to be one of the best-selling XP models. Having a body and a frame styled after the Honda Ruckus, this rugged scooter does away with most of the body panels allowing the art of the frame to come through. For the last two years it has been upgraded to include a four-inch front tire, digital display, under-seat cage, full size rear disk brake, MP3 player, cushioned seat, among other features. This no-nonsense design is less vulnerable to damage, making it suitable as an everyday runabout or rental bike. Starting in 2015, all Motorino XPd are equipped with 60V battery and a state-of-the-art Sine-Wave controller. The energy losses with this controller are much lower; it causes less heat generation and offers a longer range without sacrificing the torque. The Motorino XPd is absolutely quiet and the regenerative brake is smooth. 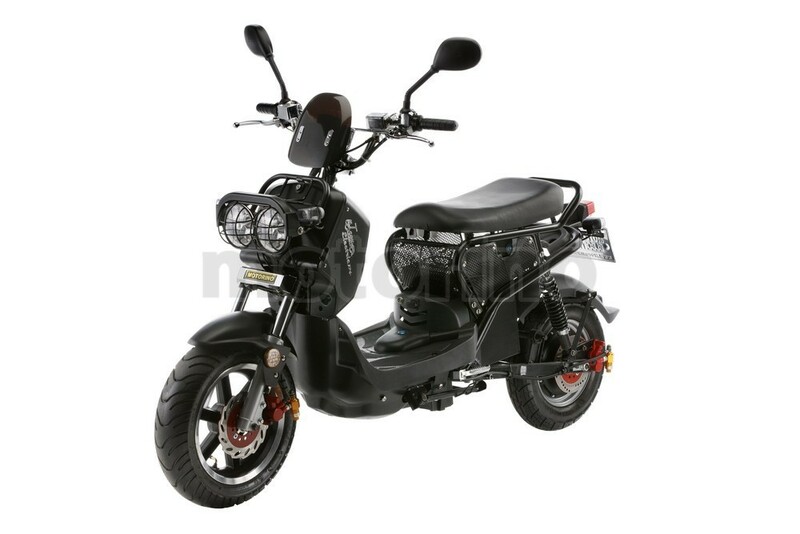 The Motorino XPd has a low profile seat that contributes to its stability and comfort. Front: direct-acting twin internal spring/hydraulic shock. Front:Tire: 120/70-12” tubeless tubeless motorcycle grade DOT-spec. Rear:Tire: 3.5×10” tubeless motorcycle grade DOT-spec. 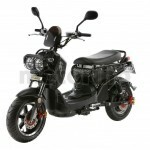 Built-in vibration sensitive alarm system with two remote controls, steering Lock, helmet lock. Two-speaker stereo head unit MP3 player (via SD card), FM Radio, auxiliary input. Weight (without battery pack): 70kg (154lb). Standard lead-acid (SLA)60 V 20A-h battery pack: 34kg (60lb). Optional LiFePO4 (lithium) 60V 26A-h battery pack: 17.5kg (31lb).